Proclaim that the nation’s budget is out of control and cut taxes for corporations and the wealthiest people in the community under the pretext of it creating “jobs and growth”, despite election promises to crack down on tax avoidance. Increase public subsidies (aka corporate welfare) for projects led by the largest companies operating in Australia, such as fossil fuel and mining companies, to ensure there are budget shortfalls. Use the excuse of budget shortfalls to cut public spending to the poorest people in our community as well as to areas that benefit most members of the community, such as health, education and information services that enable the community to hold their decision makers to account. Australians trust the ABC because it employs journalists who understand that their job is to accurately and impartially convey information. For this reason it is a national treasure. Meanwhile, the current ABC Board and executive team seem to be having problems understanding the traditional role that the ABC plays in informing and educating Australians with independent information. Sadly, these administrators don’t seem to recognise the difference between talented, dedicated journalists and industry spokespeople who are mouthpieces for vested interests. 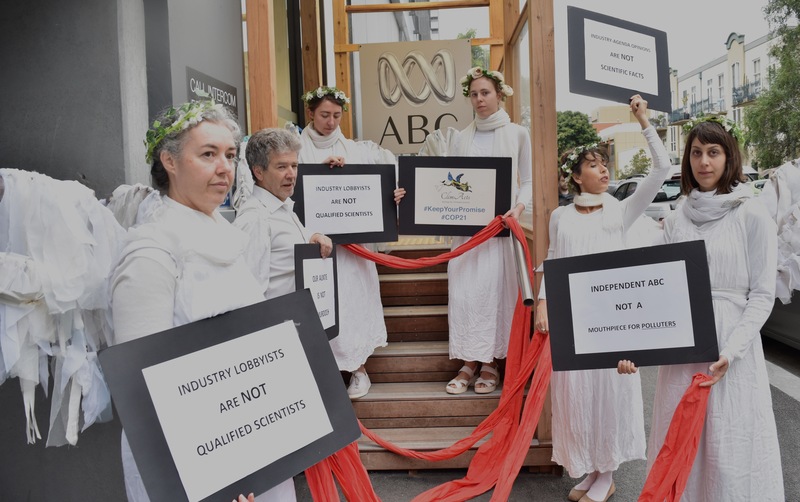 We intend to continue holding the ABC Board to account for allowing Australia’s national public broadcaster to be used as a mouthpiece for anthropogenic climate change deniers with close ties to industry front groups, including the Institute of Pubic Affairs (IPA) and Centre for Independent Studies (CIS). It’s thanks to countless talented, trained journalists at the ABC that generations of Australians have been highly independently informed and educated about our world and our nation’s position and responsibilities within it. But now, driven by business and industry and their political supporters, there has been an increasing and illogical expectation that the ABC ought to dumb down its content in line with commercial stations that are beholden to the vested interests of advertisers and corporate partners. Peer reviewed science is not the same as ‘opinion’ no matter how many times right wing commentators assert that it is, as a strategy to mislead and confuse the public. Australians are losing trust in the ABC’s Board and executive team for allowing the ABC’s independence to be severely compromised. 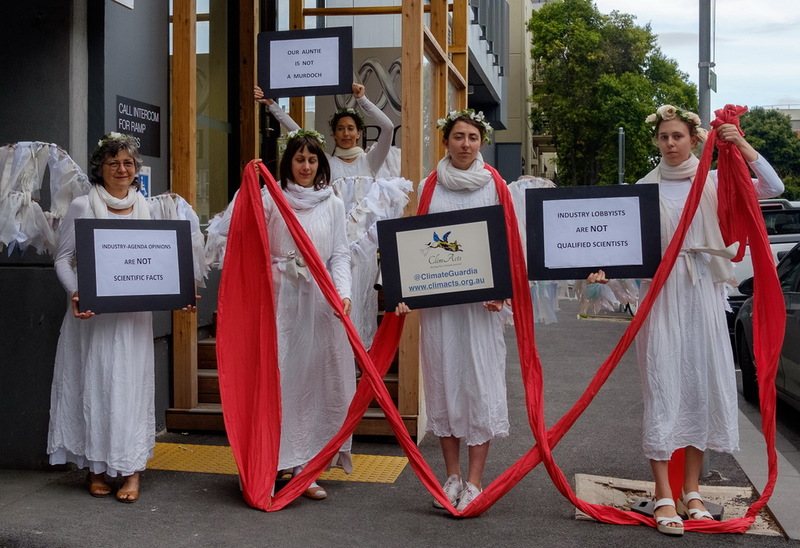 We cannot address climate change and deliver on Australia’s promises to the world community under the Paris Climate Agreement while industry lobbyists are allowed to use our national public broadcaster and information provider as a mouthpiece. Having come from the Murdoch Empire, Michelle Guthrie knows full well that there are more than enough opportunities for industry driven opinions to be expressed via the commercial Newscorp empire. 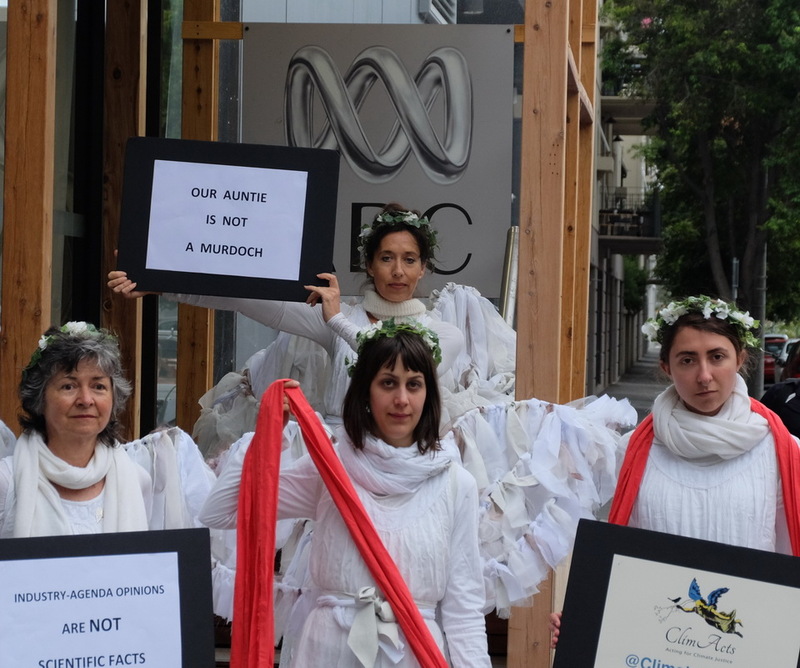 It is precisely because the ABC is our trusted public broadcaster and national information provider that climate deniers have an obvious agenda to exploit it. Providing substantial coverage for the agenda of industry groups with vested interests—whose lobbyists are on the record referring to themselves as the Greenhouse Mafia and bragging about turning Australia into a ‘polluters’ paradise’—under the guise of providing ‘balance’ is wrong. 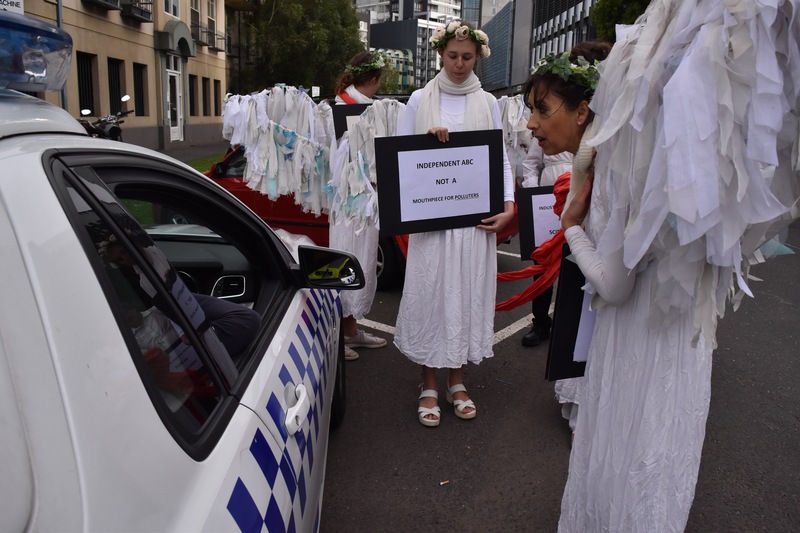 * in defiance of a state of emergency ban on protesting following the horrific terrorist attacks in Paris on the eve of it hosting the 2015 UN climate conference. ← Announcing ClimActs’ inaugural ‘Pen a Coal Poem for Christmas’ Competition!